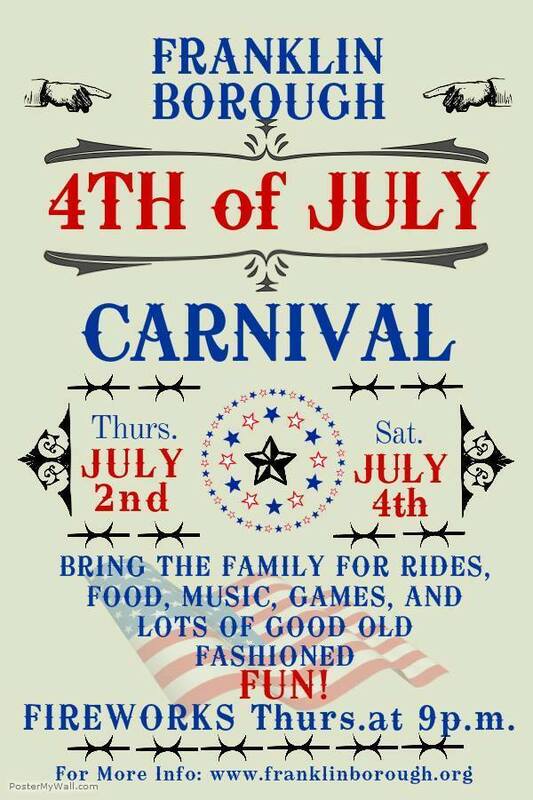 FRANKLIN BOROUGH, NJ – After nearly a two decade hiatus, Franklin Borough is celebrating its municipality and the upcoming Independence Day weekend with a 4th of July Carnival. 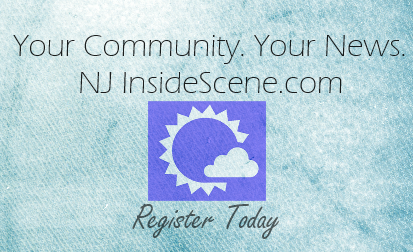 Volunteers including Jennifer Giordano and Mike Rathbun spoke with NJInsideScene.com as they were preparing for the event. Rathbun fondly recalled riding his bicycle from Ogdensburg into Franklin on the carnival weekends during his childhood, with Giordano stating in those days, the carnival was a five-day event, with cars lining up along Corkhill Road beyond the DPW building. “You wouldn’t recognize the pond area,” Rathbun said, with the many rides and amusements, plus people, who poured into the Franklin Pond area. The carnival this year, which the rides are being provided with NJ Valley Amusements, runs from Thursday, July 2 through Saturday, July 4 daily from 6 p.m. to 10 p.m.
Rathbun and Giordano said that this year there would be 14 rides expected, including a merry-go-round, ferris wheel, zipper, scrambler, bumper cars and more. The games planned for the event are still to be announced. The entry to the carnival is free and rides can be purchased with tickets or special bracelets for a flat fee of $25, which enables the buyer to enjoy unlimited rides. Thursday night’s treat is the fireworks display at 9 p.m., with Braen generously sponsoring it. Food vendors will be aplenty during Franklin’s Carnival Days, with the pond area brimming with grilled fare like burgers, hot dogs, cheese steaks, sausage and peppers, “taco in the bag,” cotton candy, candy apples and much more. Some of the vendors include local groups likes the Boy Scouts. The Franklin Fire Department is planned to attend with their trucks and gear, as well as the Wallkill Valley First Aid Squad, which will also have a rig on site, plus has planned a bake sale. A D.J. will also be at the event, as well as other fun happenings. Proceeds benefit the Franklin Borough Recreation Committee’s programs, including those for beautification near the pond area. Historian Bill Truran said that prior to the carnival in the 1980s and 1990s, residents enjoyed the Hunt’s Circus. Another amusement that local residents enjoyed over the years was swimming at the Franklin Pond. Truran, who grew up in Franklin, recognized the efforts of the volunteers bringing the carnival back to the borough.